Ross Bridge offers more than just a new home. 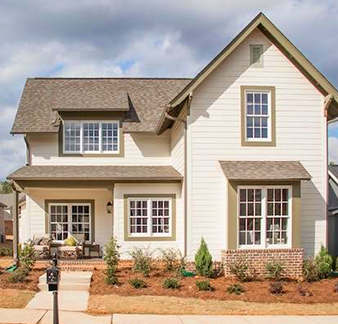 Residents delight in the “front porch-friendly” neighborhood style of living with opportunities to bond with neighbors, raise their family and simply, enjoy life. Each distinctive neighborhood within Ross Bridge has its own lush, landscaped park, beautiful tree-lined streets & sidewalks. In all, there are over two-hundred acres of parks, green spaces, lakes, and the Shades Creek Preserve. Ross bridge offers new homes for sale in distinctive neighborhoods, from extraordinary golf and resort homes with stunning views of the valley and the Renaissance Ross Bridge Golf Resort & Spa to the custom new estate home of your dreams, crafted by one of a hand-selected guild of premier custom home builders, priced from the low $200’s to $1-million+. Click on the distinctive neighborhoods below to view more information about new homes for sale in individual neighborhoods at Ross Bridge. 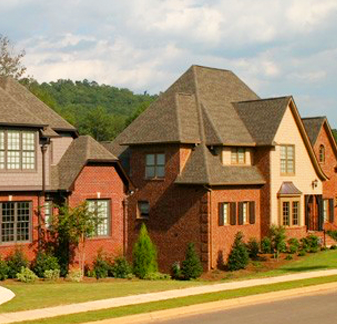 The Glasscott Neighborhood boasts some of the largest homesites in all of Ross Bridge. 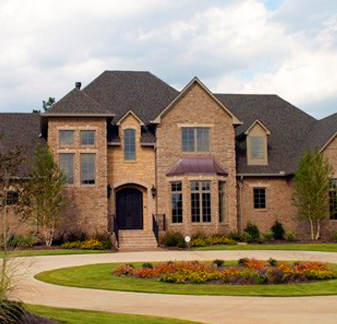 With a vantage point rising out of the valley, the Birmingham, AL new homes of Glasscott present commanding views of the Ross Bridge Golf Course as well as the spectacular Renaissance Ross Bridge Golf Resort. The next great neighborhood at Ross Bridge is The Hamptons. Continuing the tradition of excellence, these exquisite residences by Signature Homes offer a variety of floorplans each with unique design styles including 3 - 5 bedrooms ranging from 1,800 sq. ft. to over 3,500 sq. ft.